We’ve already discussed some of the best screencasting tools for Linux. Screencasts are videos of the graphical user interface (GUI) that developers use in making tutorials as well as advertisements for their applications. Usually the norm for desktops, these little videos are then uploaded to YouTube thus allowing users from all over the world to get to know the application more closely without going through the trouble of downloading and installing it. Furthermore, even biggies like Apple use screencasts to explain various parts of their desktop to new users. So, in short, there’s no denying the fact that screencasts are an integral part of an application or even an operating system’s success. Catching up with this trend is the world of tablet computers and smartphones, where, these days, you’d see more and more screencasts being made. Thanks to some great applications, taking screencasts on your smartphone isn’t that hard. So is the case with our beloved Android, where too, taking screencasts isn’t such a big hassle anymore. 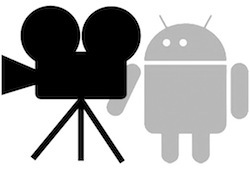 So, if you’re looking to make a nice video of you using your favorite Android application, here’s how to do it. Note: Taking screencasts on Android requires root privileges. If you’re on the fence about rooting your brand new Android phone, consider perusing our earlier article where we’ve discussed rooting at great length. 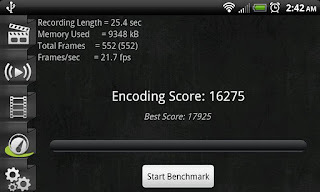 This app, once installed, lets you capture your Android smartphone at high frame rates with MPEG4 quality. 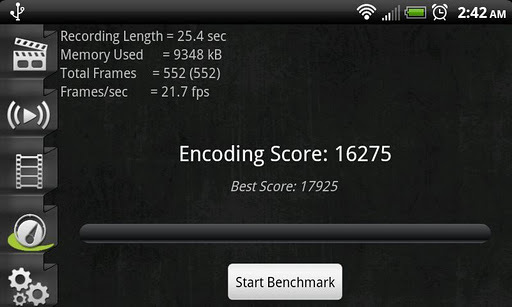 Before taking a screencast, you can decide on the frame rate you want. Once the recording starts, the app shows you the memory used, recording length and other important data thus making sure that you don’t overwork your phone. To browse the recorded screencasts, the app comes with a gallery where you can view, play, rename, delete, and share any of your recorded videos. Though the app can be tried out for free, it has a time limit which can only be circumvented by buying the full version. That limitation aside, Screencasts Video Recorder can be deemed as the best app for recording videos on your Android. AirDroid has recently introduced an experimental feature (root-only) that lets users view their Android screen in real-time from their desktop. With it, you can view your Android screen, take a screenshot, and more importantly, record a screencast. Though the feature is not as developed as it is on the aforementioned Screencast Video Recorder, it does, however, provide a good, free alternative to the paid app. It's worth noting that we've also mentioned AirDroid on our previous article about managing Android devices on Linux, so you may also want to check it out. I've been searching for this. Thanks a lot for the tip. Both of these are a bomb on my Asus Transformer. I really need this type of app in my work as IT support to staff in a high School. The solution seems simple, - screenshot is integrated.... why not screencast to mp4 or avi or something.... simple save to internal memory or SD card for sharing.